Darussafaka officials apologized to Maccabi for the unfortunate racist incident that took place in the latter’s hotel in Istanbul. Following a Nazi slogan that had been posted in Maccabi Tel Aviv’s hotel in Istanbul earlier in the week ahead of the game against Darussafaka, the Turkish side held a meeting with Maccabi‘s President to express its regret for this unfortunate occurrence. 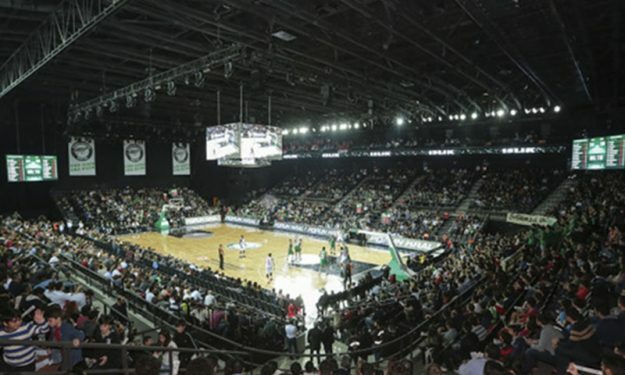 As Maccabi mentions with a statement on its social media, President Shimon Mizrahi accepted the apology of Darussafaka’s President Umit Baskirt, as well as Vice President Cem Guler, while the two men condemned the action.